My name is Kari, which rhymes with safari. Hence the name. 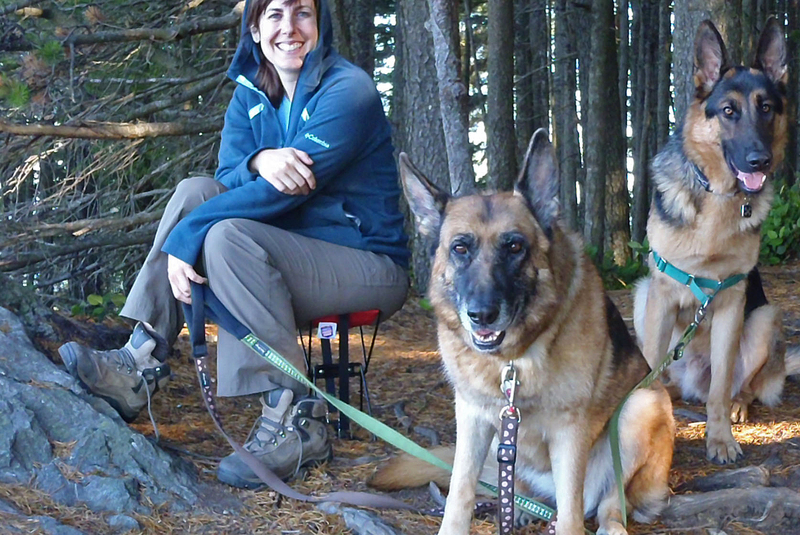 Rhymes with Safari is, at its heart, a dog blog starring three German shepherds. From 2006 to 2011, I chronicled the life of Isis, who was beautiful, smart, and reactive. Her story is the subject of my memoir, Bark and Lunge. More recently, I have been telling the stories of Leo, who is an extremely loyal rascal, and Mia, who won us over with her mellow yet crafty personality when we rescued her in 2011. To learn more, check out some of the links above, subscribe using the button to the right, and follow me on twitter: @KariNeumeyer. My blog posts do not represent the opinions of any of my employers past or present. I have been a fan through Bark and now I see us posting on the same Facebook page. Would love to follow your blog. Ordering book today. I adopted a feral dog from the island of Guam four years ago. I suspect she is about nine years old now. Transitioning her from roaming free to living in the home was miraculously quite easy. She had many puppies in her life and was living in a city so I think humans as a rule were pretty nice to her giving her food and complementing her many many children… She is a bit reactive to other dogs, motorcycles, skateboards, bicycles and people with umbrellas or carrying other stick like objects. We have made a lot of progress but there’s always work to do. I am looking forward to reading your memoir. Your four-legged family is beautiful. Hi Emily! I was cracking up this morning at your comment about Theodore putting on his beret. Thank you for ordering the book and commenting here. It’s nice to meet you!